Adriano's Luxury Salon on Rodeo in Beverly Hills- is now leasing stations and looking for is looking for motivated professional beauty experts to join their team Hairdressers/Lash Techs/Make Up Artists. Located in The Rodeo Collection, valet parking for clients & offers 50% of discount with validation off parking. 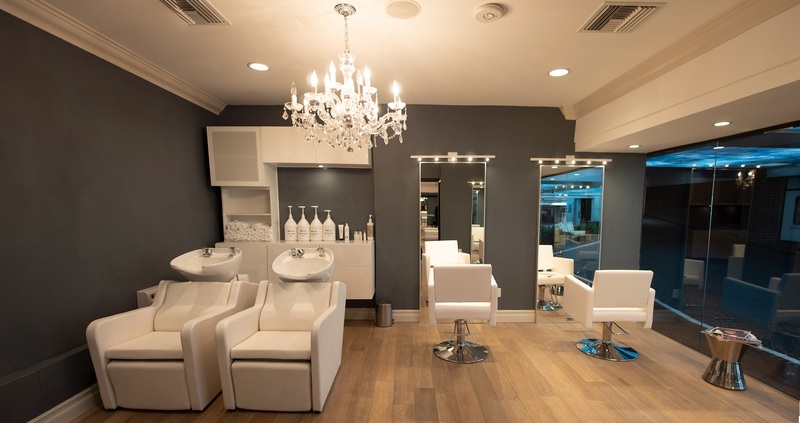 The salon has 7 styling booths, 2 shampoo stations, a caffé area with many different coffees and beverages, champagne and wines for clients during their visit. Adriano's is a remarkable hairstyling brand and has locations in other countries for many years. They have the most advanced coloring and cutting techniques, and our philosophy is to build a winning team so every member must master our techniques. * Cosmetology License for California state. * 3 years experience or more. * Bring own clientele is better, but can work walk-ins. * Have a team spirit to work with others. * Must be organized, keep his workplace clean, and be punctual. * A high end and luxury workplace with brand new chair, mirror and cabinet. A trolley can be used for color. * Brand new gowns, towels, color and cutting capes. * Training to master the most advanced techniques. * Special place for pets. Every hairstylist/makeup artist must bring their own tools, scissors, brushes, dryer and products, but can offer products to use/buy. If you are interested being a part of our team, contact our listing agent Teena Anderson 310 499 3785 call for an appointment today.